MGT : When you founded IAGTO over 20 years ago now, did you ever think that it would become the golf industry’s premier platform for Golf Tour Operators; what has surprised you most about its growth? Peter Walton: Having been in the travel industry since 1986, when I established IAGTO in 1997 I had a clear vision of what I hoped IAGTO would become. I made a statement at my inaugural address in 1998 as to what I expected the eventual numbers to be, and we are now at double that, so from that point of view I couldn’t be more pleased! Growth of IAGTO has reflected the growth in the golf tourism industry worldwide, but our challenge remains what it was 21 years ago which is to assess what the industry needs on an almost daily basis and try to deliver a support system that is timely and relevant. MGT : The global golf tourism industry has now experienced several years of consecutive growth, particularly in Mauritius and, in many cases, at rates higher than for general leisure tourism… Do you see this growth continuing; are there any headwinds that a small destination like Mauritius should be planning for? P.W: There is no room for complacency in any sector of the travel industry, and golf tourism can be affected by global and local events just like all other niche markets. Since 2011 golf tourism has enjoyed six years of consecutive growth globally and forward bookings for 2018 are also looking strong. Overall we expect the rate of growth, which has run consistently at double that of general leisure travel, to plateau as demand begins to exceed supply in the most popular golf destinations. MGT : Our last issue of this annual publication referred to Mauritius as an ‘Emerging Golf Destination’… What, from your perspective, based overseas, does the local golf tourism industry need to do to qualify as an ‘Established Golf Destination’? P.W: What Mauritius has achieved is even more remarkable. Since 2003 its golf visitor numbers have increased year on year through global economic crises, health pandemics and market variations. This can be accredited to the implementation of a well-planned golf course development strategy. 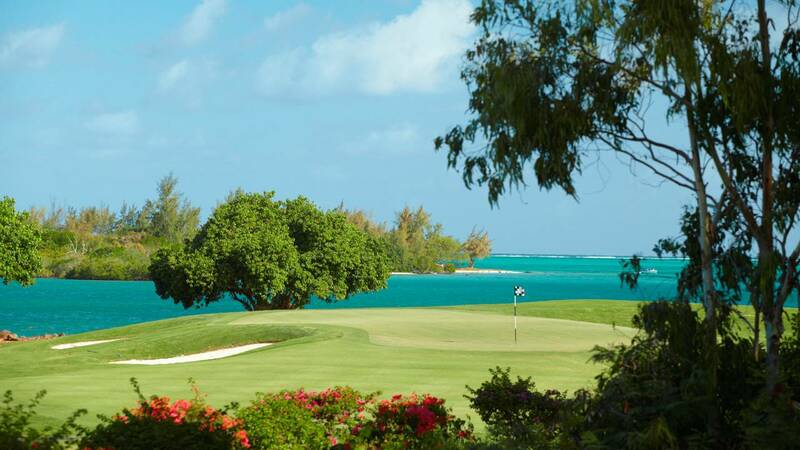 In my opinion, Mauritius is already, and has been for a number of years, a well-established golf destination. Being established is not an empirical measure of the absolute number of golf visitors but the perception of the destination in the minds of the golf traveller. MGT : You have visited Mauritius and, I presume, played on some of our championship courses. We know that we offer the golf aficionado the possibility of playing a round every day on a very different golf course, even if he or she spends 10 days on the island… What does Mauritius offer that is unique or different; and what can be done to improve our offer in terms of courses, resorts, etc. does that mean that it will only ever be a small upmarket niche destination, or is it feasible for the industry really to put Mauritius on the map for golf tourists? P.W: It’s already well and truly on the global golf map! Mauritius has actually always punched above its weight. However, you are right in that, apart from South Africa, your main markets are some distance away, and the further people travel, the more they want from their travel experience. With only eight golf courses, golf tourism already accounts for 6% of all arrivals and 9% of tourism revenue, so the opportunity is to develop this even further as all tourist boards are looking for high revenue, low impact tourism. While golf travel can certainly be labelled ‘niche’ it is the largest sports tourism sector and one of the most powerful and influential niche markets in the tourism industry. MGT : If the answer to the above is affirmative, then how do government, tourism sector operators, airlines, and golf resorts work together to achieve this goal, noting that you have said that, “Messages need to be clear, specific and targeted to particular markets. From the supplier side it is essential to consider what any given category of golfer is looking for and to explain succinctly why their destination or resort is therefore the perfect solution.” How well is our golf tourism industry doing on that score? P.W: I was reported as saying in 2008 that it is no longer sufficient to market a destination in broad generic terms, and that messages need to be market and ‘motivation’ specific. It is equally important that we can deliver the experience that we are promoting. This is where Mauritius truly comes into its own. I believe that golf travel to Mauritius can reach 12% of all tourism revenue by the private sector offering great combinations of golf course experiences and the tourist board promoting this to key markets. MGT : Every year we hold the Afrasia Mauritius Open tournament, one of the only tri-sanctioned events appealing to, and drawing, European, Africa/Middle East, and Asian professionals… is there anything more in terms of tournaments or events that Mauritius might be doing to appeal to professionals, thereby increasing the number of golf visitors? P.W: The Afrasia Mauritius Open is a tremendous asset to the promotion of Mauritius as a golf destination and has already had a positive impact by expanding the markets in which Mauritius is already best known. Now it is all about promoting these images and those of the destination in new and existing markets along with an ease of booking golf vacations encompassing any combination of golf courses for the cost of a stay and play golf holiday. MGT : We are blessed to have a number of championship courses all very different one from the other… Is there a point where a small island like Mauritius reaches saturation point in terms of golf courses? P.W: Globally golf tourism growth will soon plateau due to demand exceeding supply in the most popular golf destinations. The steady growth of Mauritius as a golf destination has in large part been due to the development of new courses of the right quality at the right time. We always need to be looking three years ahead, this being the time it takes to plan and build a new golf facility, so it is important to ensure that the golf tourism development strategy continues into the future and that new courses are built at the right time and in the right places before existing capacity is exceeded. With adequate marketing all golf resorts and courses should be running at optimum capacity. MGT : I read in a recent interview that you mentioned women golfers, particularly in Europe, as a potential market that can be developed… would this apply to Mauritius, noting that most people visit us as couples, or families? P.W: Mauritius needs to focus on the sections of golf travellers that are most suited to the destination, which probably means couples and groups of couples. Fortunately this is one of the fasted growth sectors. This is not just limited to Europe where, for example, 40% of registered golfers in Germany are ladies, but looking east, also in Korea where groups of women golfers regularly take golf vacations. This is a growth area and one that Mauritius can easily capitalise on. MGT : The Olympic Games in Rio in 2016 featured golf for the first time in over a century; the next Games will be held in golf-mad Japan… What repercussions do you see for the game and tourism in general by this inclusion in the Olympic program? P.W: It is difficult to second-guess what the overall impact will be of Olympic golf on global participation levels, but of course it can only be positive. Moments of genius and the clash of titans as experienced in Rio stirs the imagination of non-golfing Olympic fans; and, looking ahead, the gradual positioning of Japan as a unique and accessible golf destination ahead of the 2020 Olympics is perfect timing. MGT : As we are talking about Japan, and let us add Asia in general; numbers from the region are only a small part of the tourist arrivals in Mauritius… Should the local Golf Tourism industry be focussing more on golfers, who have a defined objective and, usually, the means to travel here, rather than just increasing the overall numbers from this promising region? P.W: I believe that Asian markets with direct flights or easy connections represent a tremendously important segment for Mauritius. But Asia is not a single market and the cost of promotions each country can be prohibitively expensive. With golfers throughout Asia being supremely influential in up-market family holiday, couples vacations, meetings, incentives as well as the occasional golf holiday, it would make perfect and cost-effective sense to focus on avid golfers in each one of these Asian markets.